A love story set in the Far East, a Vietnam war widow falls in love with a half Japanese, half Taiwanese doctor with a troubled background. Set in the vibrant pub scene of the early 1990's in Taipei, an array of scurilous and unforgettable characters is portrayed who shepherd the American war widow through her doomed affair. 'After an empty marriage and abandonment by her half Taiwanese half Japanese husband, Ahmed, Clarissa finds solace in lively Taipei pub life only to be roiled but Triad gangsters hired by her jealous husband. Mow, a successful poet Clarissa is lured to a poetry conference in Eastern Europe with the promise of fame and money--and the possibility of finding her half Taiwanese, half Japanese husband, Ahmed there. Meanwhile married again to his childhood sweetheart Plum Blossom for reasons of politics as well as love, Ahmed deserts Plum Blossom for nights of passionate love making in the grottoes of Hungary. Shaped like a giant tobacco leaf off the coast of mainland China with a population of 23 million people and a land area about the size of the US state of Maryland, in the 70 years since the end of WWII Taiwan has become the world's 21st largest economy with a nominal GDP of 21,000 USD. When the Portuguese first landed on Taiwan, or Formosa 'the beautiful island', as they called it in 1542, it was a desolate land sparsely populated by proto Polynesian aborigines. Today it is a land of bustling metropolises. burgeoning foreign enterprises and multitudinous high tech firms. 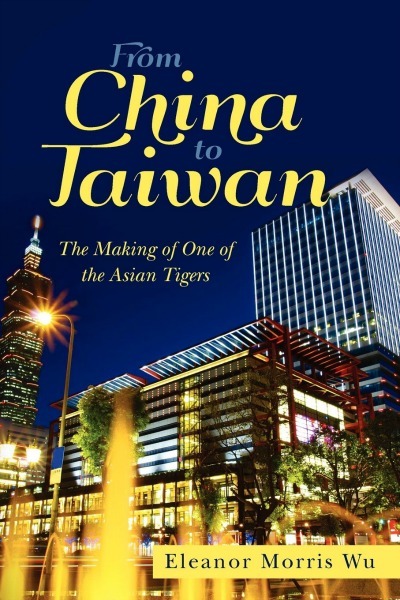 Prior to the Chinese Republican Revolution in 1911 and the Chinese Communist Revolution in 1949 Taiwan's Chinese population was seeded by pirates and outlaws fleeing the reach of the Chinese Imperial police. What was the miracle that turned this benighted island into a vibrant constitutional democracy and the world's 14th freest nation in the space of 70 years? Read my book and find out! 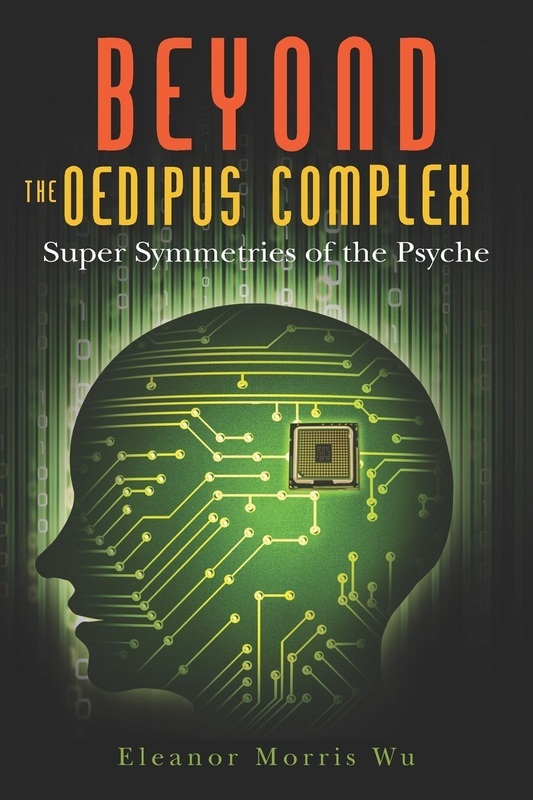 While Sigmund Freud has received a very bad press due to his seeming obsession with human genitalia, really he was a very serious doctor trying to find a way to cure what was seemingly ubiquitous mental illness in the human population in a non-invasive way. 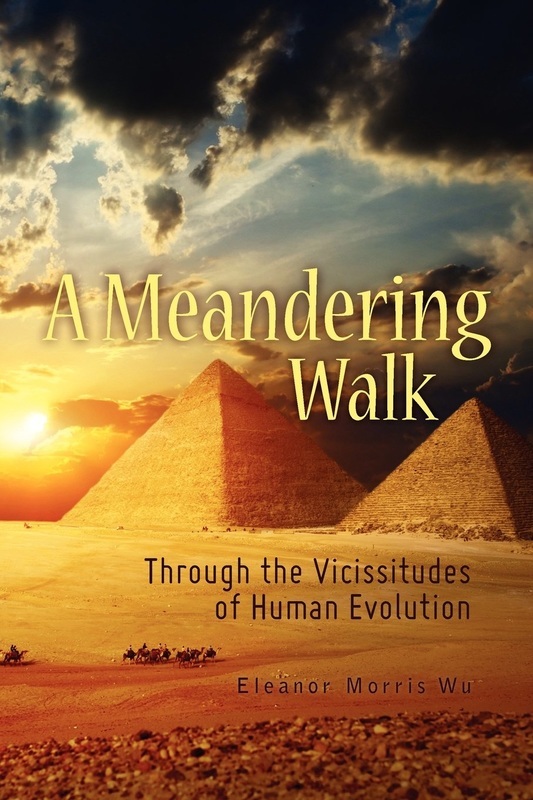 Freud induced that humans like other living species metamorphasized from early to adult development. While for adult humans genitalia were a fact of life for children `they were a realm of fantasy. The separation of fantasy from realities of adulthood became Freud's pathway to curing mental illness. But the simple binary duality of fantasy vs reality set up a deadly locked in binary that was the hallmark of mental illness. There had to be a third way; For Freud that was talk therapy, a way to negotiate the deadly binaries. Reading the most ancient book in Chinese civilization and the foundation of all other Chinese philosophies that came after it including Confucianism, the Chinese I Ching,is a set of binaries, short broken and short unbroken lines in 64 sets of threes. These trinaries negotiate all the binaries in the universe. As you are following their arythmical patterns while perusing Freud's prosy theorems you will relax. A good bedtime book for stressed out people. All young boys resent their fathers and this resentment has as its icon the father's comparatively massive genitalia. Both the young boy and the females in the family harbor a wish to castrate the father's massive genitalia and make his power and authority their own but this wish is very rarely fulfilled and the prime male remains the prime provider of money and the prime authority figure. However the young boy and now young man and all females harbor a great sense of guilt for this unfulfilled wish and indeed Occidental society is pervaded by themes of guilt both culturally, socially and religiously. In Oriental society quite the reverse is true. The prime female mother/wife is often the sole or major money earner and is always money steward of family's wealth. She is always the prime authority figure and the prime male is castrated both socially culturally and economically and for this fulfilled wish the entire family feels shamed including the castrated male. 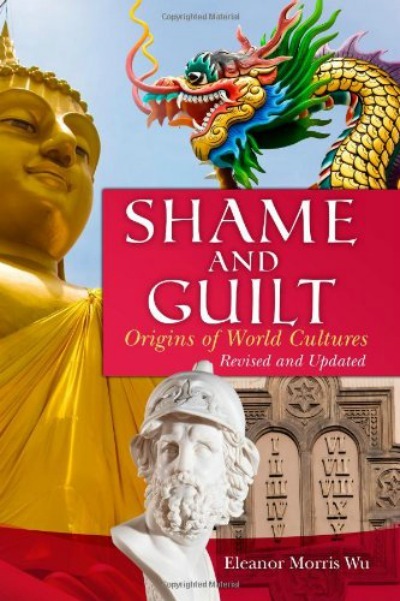 Indeed themes of shame preface the society on every level f culturally socially and religiously. This explains the practices so curious to Occidental from 'face' and loss of it to bushido and hari kari. The perks are where the prime male may be permitted to live a lascivious or polygomos lifestyle outside main family bounds. The other is officialdom from which females are effectively barred. If a man can expend enough human energy, personal discipline and wealth to reach the high bar of officialdom he becomes economic provider for the state and its authority figure. In this way he may be able to raise his authority status somewhat within the family as well. 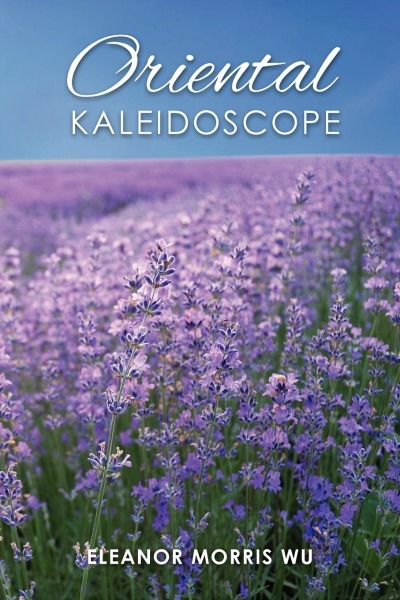 Oriental Kaleidoscope is collection of my poetry written during my 26 years in Taiwan. Though all the poetry is in English it is in the fin de siecle post-modern style of French symbolic poets Baudelaire and Mallarme with meter but without rhyme except for a small collection of sonnets. The poems commemorate my first impressions of Taipei after leaving Canada; the raucous pub life of the 'combat zone' in L in Sen North road in the early and middle '90's. They commemorate search for my lost love in the hectic life of the pubs and memories of him in my college days. I commemorate the untimely death of my husband in Canada and the anguish I suffered for years after his death. I commemorate the natural beauty of Taiwan’s landscapes, mountains, forests and endless flora. Written in the third person the author imagines herself first as African tribesman scaling the mountains and trekking the jungles of the African continent always looking for a ship to take across the water to central Asia and the Caucusus. She then lives the life of a hunter gatherer in the caves of Europe, stalking herds of wild mammals, catching them, transporting them and butchering them, sharing them with her fellow cave men and women. She engages in burial rights and painting in the caves. She treks northward where the sunshine is not hot enough for her dark colored skin which refract the sun’s rays back into the atmosphere. Slowly over the ages her skin color pales so she can absorb the heat from the sun's rays to keep herself warm in this cold climate. In this book I explain how a near death experience enabled me to crack the trinary code of the Chinese I Ching after 50 years of trying. Of course I must give full credit to my old mentors the late Dr Chang Chi Yun, Harvard Professor and Founder of the China Academy and University of Chinese Culture in Taiwan and the late Dr Claude Levi Strauss of L'Ecole des Hautes Etudes in Paris with whom i consulted extensively in the '70's and the '80's. 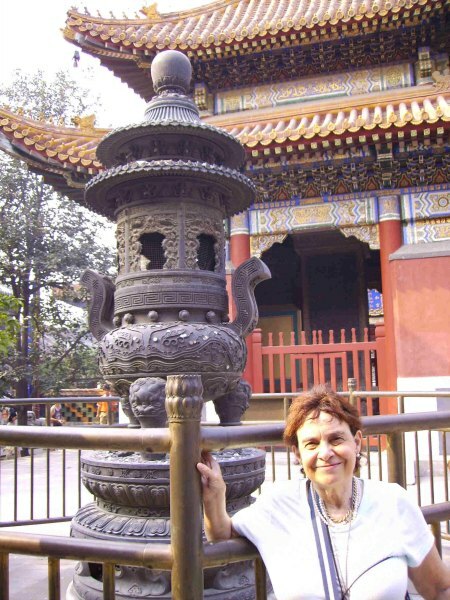 I also need to give full credit to my good friend and editor Dr Mark Graveson of Cambridge University without whose help and feedback neither the production nor publication of this book nor also 'Ancient Chinese Science and the Chinese I Ching would have been possible. Dr Levi Strauss, like Dr Chiang Chi Yun, believed that the I Ching was a relic of lostt Chinese technological society similar to our lost Atlantis in the West. 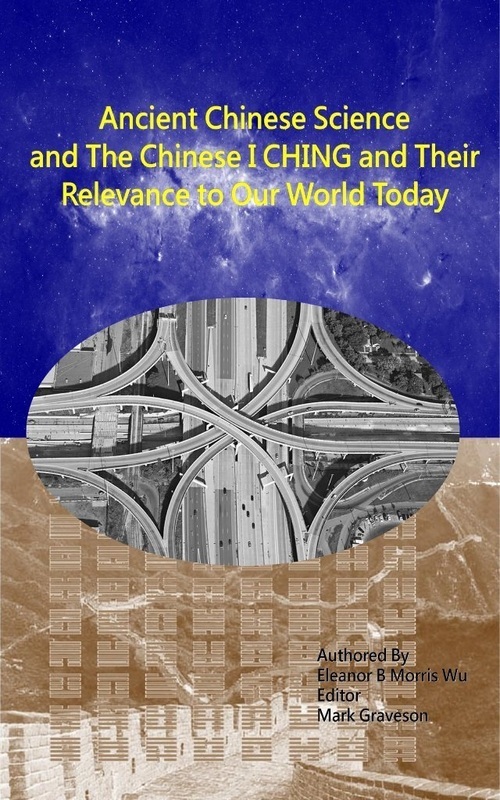 There is only one possible reference to I Ching society in the literature and that is the chapter on the Tower of Babel in the Old Testament. I have since come to believe that I Ching society flourished and was destroyed by the First Ice Age in the Pleistocene 100,000-10,000years ago and indeed archaeological remains are still extant of villages in the Yangste and Yellow River basins similar to villages existing in China today 9,000-10,000 years old. 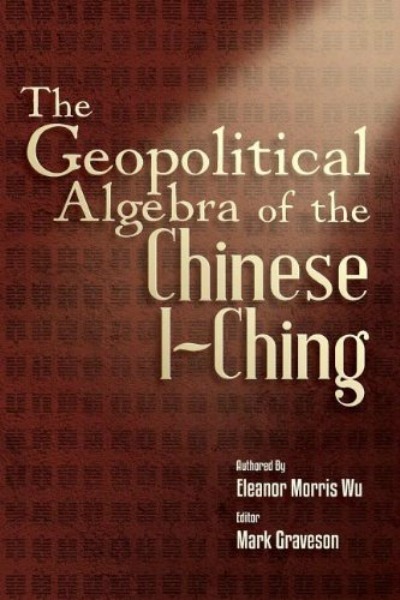 In keeping with my findings in 'Geopolitical Algebra of the Chinese I Ching' that the trinary system of binaries (short broken and unbroken lines) in 64 groups of 3's was the probable precursor to Euclid's geometry where the first two lines of the triads representing the vertical and horizontal lines of Euclid's right angled triangles and the third line of the triads (the 'decision making' line) representing the diagonal line of the triangle, the hypotenuse. Armed with this revelation I was able to look at the theories of ancient Chinese science--long denigrated by Western scientists as 'primitive' or 'childish'--with new eyes. For example the Chinese theory of the five indispensable elements, water, fire, earth, wood and metal was equivalent to the five indispensable atomic elements making up the DNA molecule central to every form of life on this planet and discovered only in the early 1950's by James Watson and Francis Crick. Thus for the five atom elements of DNA, Oxygen=water, hydrogen=fire, nitrogen=earth, carbon=wood and metal= phosphorous. This, among other correlations I made, lends further and further credence to Levi Strauss' belief that I Ching civilization, like the legendary lost Atlantis of the West was an idyllic technological society lost to the sands of time.